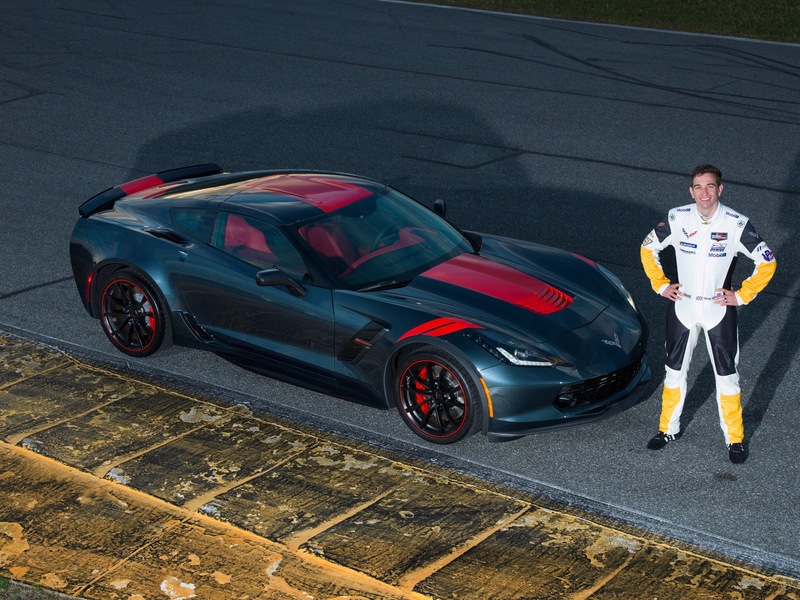 Chevy has unveiled the new 2019 Chevy Corvette Drivers Series special edition versions of the Corvette Grand Sport. 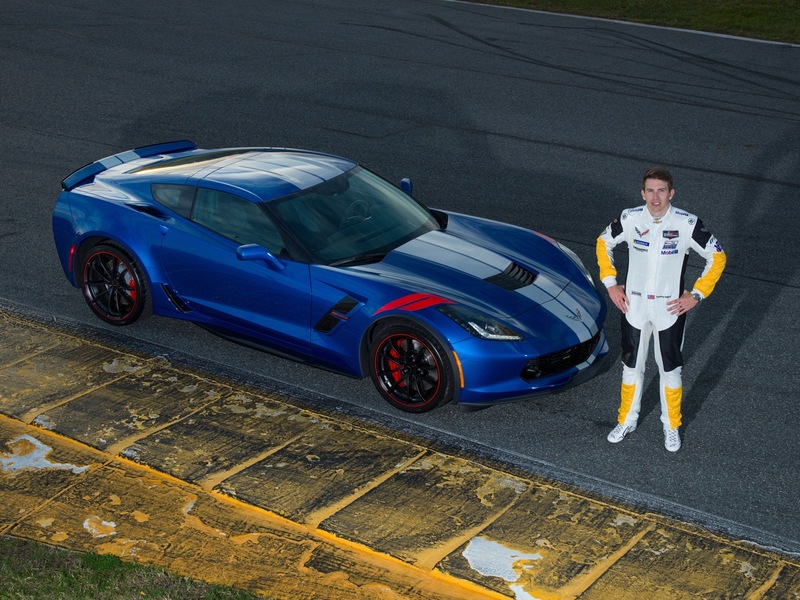 To create the special Driver Series models, Chevy teamed up with the Corvette Racing team. 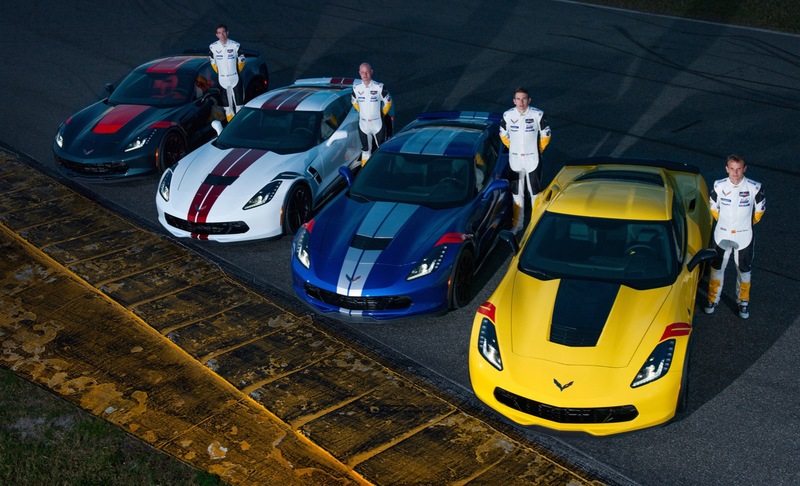 There are four versions of the Corvette Drivers series available and each of them feature a unique color and graphics package inspired by Corvette Racing drivers Tommy Milner, Oliver Gavin, Jan Magnussen and Antonio Garcia. The Tommy Milner Edition is painted in Elkhart Lake Blue with silver stripes and red hash marks. 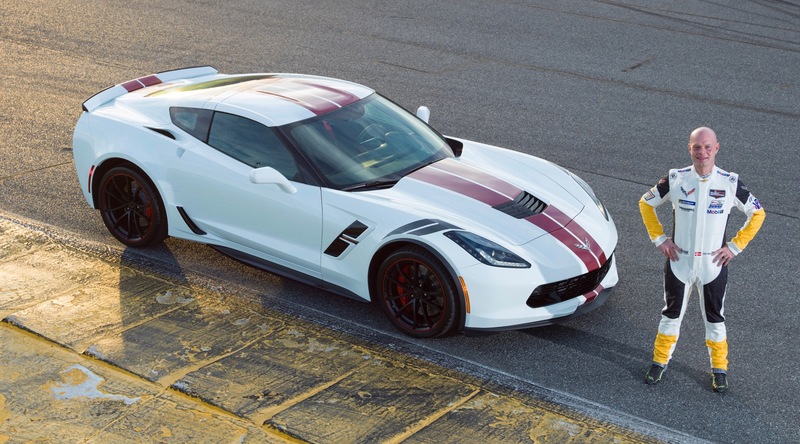 It also features body-color mirrors, black wheels with red stripe and red brake calipers. Inside the interior is covered in Jet Black Suede with red seat belts. The Oliver Gavin Edition is painted in Shadow Gray with a Torch Red center stripe and Torch Red hash marks. It also features Carbon Flash mirrors, black wheels with red stripe, red brake calipers. Inside the interior theme is Adrenaline Red with red seat belts. The Jan Magnussen Edition is painted in Arctic White with Crystal Red stripes and gray hash marks. It also features body-color mirrors, black wheels with red stripe and red brake calipers. Inside there’s a Jet Black interior with red seat belts. 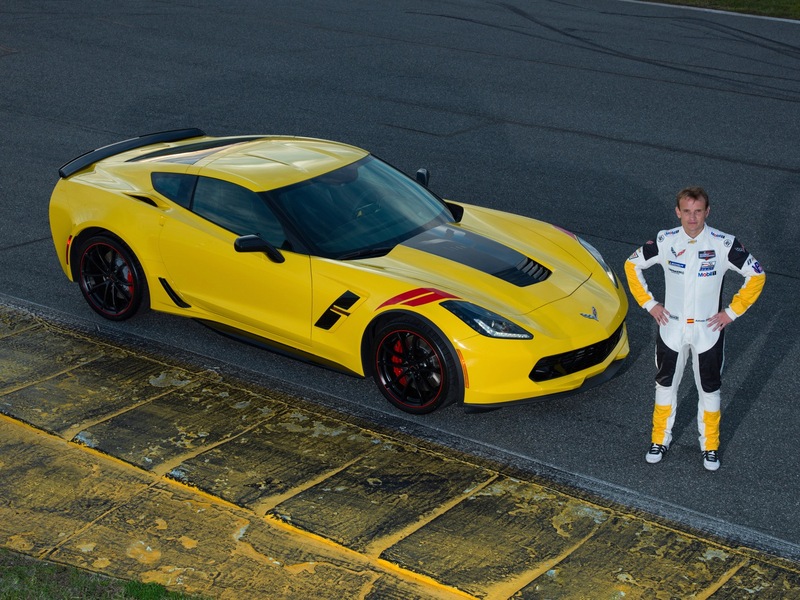 The Antonio Garcia Edition is painted in Racing Yellow with a “Jake” stinger stripe, red hash marks, Carbon Flash mirrors, black wheels with red stripe and red brake calipers. It has the Jet Black interior, but the 3LT trim level gets yellow stitching. 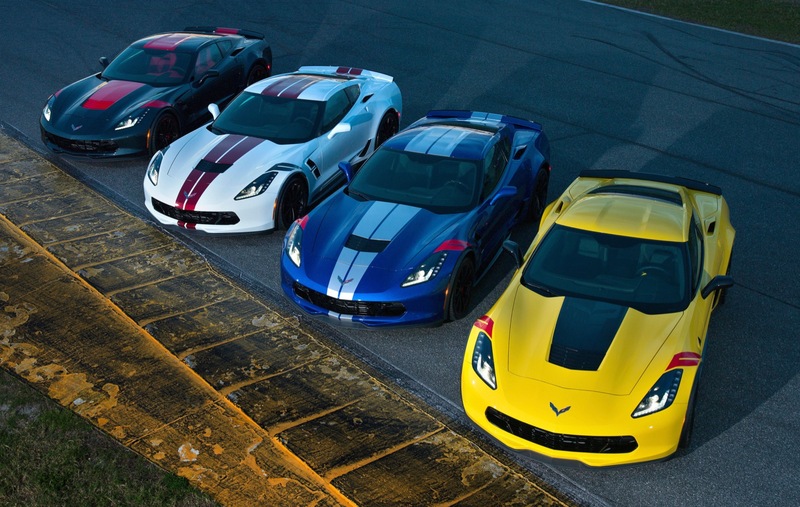 The Corvette Drivers Series packages will arrive this spring and add $4,995 1LT and 2LT trim levels and $5,995 to the 3LT trim.